E48-32 There is no signal. This may be due to bad weather or a faulty connection in the installation. Now that the festive season is on hand, DStv is sometimes the only entertainment for kids at home. Entertaining kids at home while working is hard enough, doing this without DStv is a feat on its own. Furthermore it is also rainy season and kids gets frustrated indoors. The last thing you need is a E48-32 searching for signal or no signal error message on your TV screen. The full message normally says “There is no signal. This may be due to bad weather or a faulty connection in the installation”. In this article the third of our three part series, I will discuss some DIY solutions you can try for your dstv e48-32 fix. Let us recap on our first article in the three part series. dstv hd error e48-32. 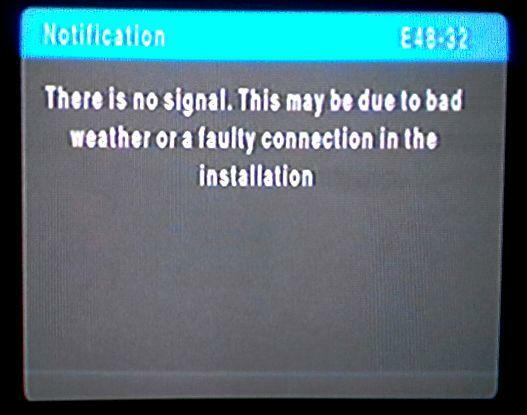 Rain fade is caused by rain blocking the DStv signal and in turn the E48-32 searching for signal or no signal error. This could be in the download stream or the upload stream regardless. This therefore means that even though it is not raining in your area, rain could be falling in Johannesburg at the DStv studios. 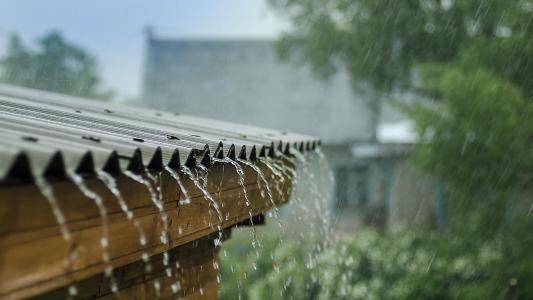 How can I prevent or solve rain fade related problems? There is not much you can do to solve a no signal or searching for signal error (E48-32) when it is caused by rain. The best resolve is to have your dish aligned to optimize the DStv reception. Furthermore you could upgrade your DStv installation by installing a bigger dish. This will improve the signal strength and so doing improve rain fade. I do recommend that you use a installer with a proper field strength meter to assist you with a E48-32 searching for signal or no signal error. Those DIY camping meters or sat finders as they are called is not good enough. Rather spend a bit more to enlist the services of a proper DStv technician rather than sitting with a constant irritation. We at Optimal TV do have the latest in measuring equipment to ensure a fast and effective service. Call us now to resolve your rain fade problems. Therefore preventing a E48-32 searching for signal or no signal error. Plant growth that could cause a “E48-32 There is no signal. This may be due to bad weather or a faulty connection in the installation” error. We did cover this topic in our previous article, the second of our articles in the three part series. Lets recap on this topic E48-32 searching for signal or no signal. 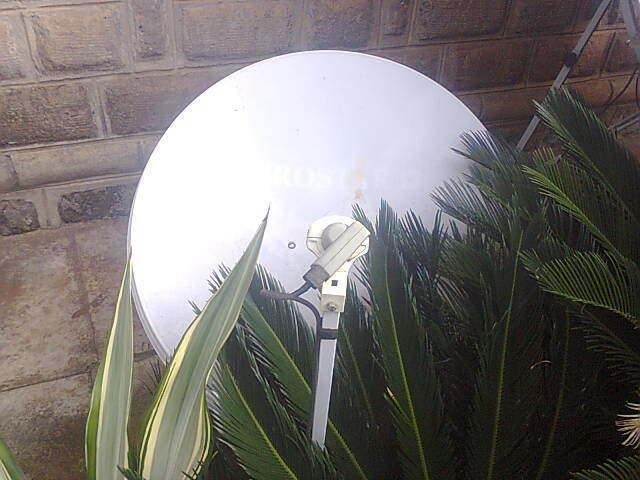 Due to the nature of the DStv signal it is not able to penetrate through plant leaves or even water in the form of rain. This is why plant growth could cause you to experience signal loss. A loss of signal will give you a “E48-32 There is no signal. This may be due to bad weather or a faulty connection in the installation” error on your DStv decoder. How can I determine if overgrowth is affecting my signal? and if so fix the problem. Clearing all overgrowth in front of your DStv dish will help improve your reception. And also provent a E48-32 searching for signal or no signal error. Furthermore you could get a good idea of what could obstruct your dish’s view of the DStv satellite by standing behind the dish facing the reception area. How can I determine ad solve a “E48-32 There is no signal. This may be due to bad weather or a faulty connection in the installation” error? Firstly to clear a E48-32 searching for signal or no signal error, you can start by inspecting the signal cable. follow the entire cable from the DStv dish to the decoder. Keep an eye out for cuts or breaks in the outer skin of the cable, also see if there isn’t excessive bends in the cable. Cable is a very important part of your DStv installation make sure it is still intact and in good condition. Signal can be improved by shortening the cable run. Secondly inspect the connections on the DStv dish as well as the decoder. Make sure that the connectors is fitted properly and securely. Furthermore ensure that the connectors is fitted securely to the LNB and decoder. The signal cable is the most crucial component in a DStv setup. The signal cable is the conduit that transports the signal to your decoder. Therefore it is crucial that the signal cable is properly connected to the dish and also the decoder. In addition you should inspect the condition of your LNB regularly. This could also be the cause of the E48-32 searching for signal or no signal error. If you do not know what an LNB is, it is the electronics in front of the dish that connects to the signal cable. If your LNB is not functioning correctly it will affect your reception. Finally you should consider the tips we gave you in our first two articles in this three part series. They will be able to assist you to clear the E48-32 searching for signal or no signal error Overgrowth is definitely one of the main causes of signal loss. Have a look at the plants surrounding your DStv installation. Cut back all the overgrowth that could affect the DStv signal reception. It is wise to do this regularly to prevent signal loss. 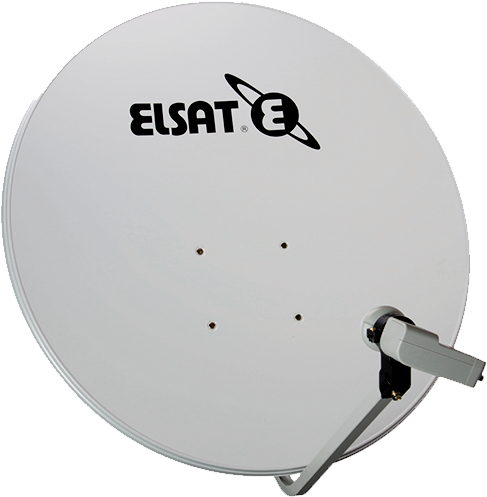 You could also receive a E48-32 searching for signal or no signal error on some channels only. This DStv error – no signal due to bad weather is most probably caused by incorrect DStv dish alignment. Therefore we encourage you to try the previous steps. This could also clear the dstv e48-32 on some channels or no signal error. But if the problem persists you should give us a call to setup an appointment for a site visit. 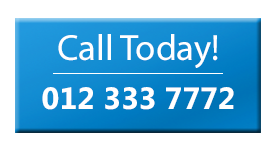 We do not only assist with DStv installations in Pretoria and DStv installations in Centurion. In addition Optimal TV would like to assist you with the repair of your DStv decoder and DStv dish. Our well trained DStv installers will be able to clear a E48-32 searching for signal or no signal error in no time. Or if you don’t know how to fix signal strength on dstv, Call us now. Even though I gave you some useful tips to solve your “E48-32 There is no signal. This may be due to bad weather or a faulty connection in the installation” error. You still might need the assistance of a well trained and well equipped DStv technician, to assist you in optimizing your DStv installation. Even if you need assistance with dstv signal settings. Also if you receive a dstv error – no signal due to bad weather. Optimal TV is DStv accredited and we have experienced technicians, equipped with state of the art equipment ready to assist you with your DStv needs. Call us now for assistance. This error could be caused by various reasons. I suggest you try the steps set out in our article. If you do not have any success you should have a professional DStv installer inspect your installation. We are based in Queenswood, Pretoria and would gladly assist you if your are in our service area. I suggest you read thru our articles regarding DStv searching for signal and no signal E48-32. We do mention a couple of tips that could help you to solve the problem yourself. If you still are not able to clear the no signal error, you will need to have your installation checked by a professional DStv installer. Optimal TV not only provides professional DStv installations but also render a DStv accredited repair service. We are based in Queenswood, Pretoria, Gauteng. If you are in our service area we will love to assist you with fixing your DStv service. I have a peculiar situation and need a 4th eye principle. I installed triple view during August 2017 (3 x Explora’s), I reside in Centurion. All worked well, we went on vacation in January and returned on 18 January. We watched TV as normal until last week, about from 23 Jan 2018, when we suddenly experiences E48-32 on just a number of channels – 104,105,106,144,147 & 201, which I encountered at this time. This past Monday until today, the DSTV installer which did the installation tested the cables, LNB, replaces the dish and could not find issues. They even link a new cable to the primary decoder, still the same results. They spend 5 hours with no success. On Tuesday they were back with a new instrument, which now indicated there are interferences with the signals. They moved the new dish to another location as the dish was hidden behind a part of the roof and there are trees towards the satellite direction. Although this was not a factor during August. Today they removed the dish and walked literally across the roof and according to them interferences to the signals. Where the dish are currently located; there are still issues with i.e. 105 & 106, it will transmit about 10 minutes beautifully and then get a E48-32. Interesting is that my son watch TV in the morning hours (01h00) and none of these channels had any issues from the decoder in his room on the second floor. I have been asked now by the installer to systematically switch fluorescent light (have only one), oscillating appliances (not sure what this is) off and check what it does to the signals. Even the WiFi which we had for years are now a factor. They also suspect someone installed a “Dish WiFi” near our house which could have an affect. Their words are there are some type of On/Off switch as this appear to happen during the day. I will appreciate your opinion. We ourselves have struggled with interference before, but not to such an extent. If your installer is Multichoice accredited he should contact his field services representative. They should be able to assist with a interference problem. We did have interference problems in PTA CBD before that was caused by Cell C transmission but never in the suburbs. If you do lose reception at a particular time of the day it usually is one of two things. Unfortunately I will only be able to determine the cause, onsite with our spectrum analyzer. We are based in Queenswood, Pretoria, Gauteng. We will love to assist you with fixing your DStv service. Kindly give Optimal TV a call 0123337772 for an appointment. I tested the decoders at MultiChoice Centurion yesterday 30 Jan 2018 and it tested 100% fine, no issues occurred. Testing the decoders definitely ticks a problem solving box. Usually lost channels signifies an installation error. I am so glad that our articles was useful to you. Yesterday I did the settings to show public channels and when I wake up today it is no showing…….. Saying there is no signal due to………. The DStv decoders is not designed for public channels. I will recommend getting a OVHD decoder instead. This will be better for you over the long run. Hi. im based in Nelspruit at a township named Kanyamazane.its drizzling this side,not raining cats and dogs,however the screen displays the E48-32 error message. Please help. If you do think that the weather is affecting your reception excessively. I will recommend that you call back your installer to check the dish align. Best will be to have your decoder tested. If you still have difficulty with your system we can assist you with a site visit. Kindly contact our office to setup a appointment 0123337772. Why can we only sometimes have all the audio channels and sometimes not. It sounds to me that you might experience signal loss. I have personally never seen only audio channels disappear before. This could be the DStv decoder so having it tested is a good start. If the problem persist we can assist you by improving your DStv reception. We service the greater Pretoria and Centurion area. You deffenatly have a signal problem. If you still struggle to clear the error we can assist you. We work in the Pretoria and Centurion area. There could be various responds for signal loss. If you already followed the tips on our articles and still have the same problem. We would love to assist you. I having this error message ‘ll time exspecial in the morning E48-32 and it say weather how can it be a weather when last nite was not having this problem. It sounds like you have an non weather related problem. 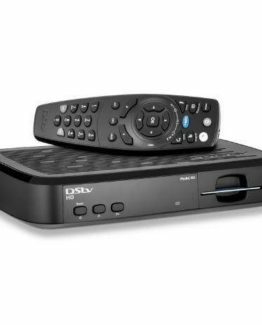 If you are not able to rectify yourself it is recommended to get a DStv accredited installer to assist you with your problem. We have some articles available on our website that covers some basic DIY tips to help you solve your DStv signal problem. After you tried all the available tips and still experience signal problems. It is time to call in the professionals. It is time to get a DStv accredited installer to assist you. Optimal TV is DStv accredited and we have 19 years experience in the DStv installation field. We service the Pretoria and Centurion area. After you tried all the available tips and still experience DStv signal problems. It is time to call in the professionals. It is time to get a DStv accredited installer to assist you. I will be watching a channel and suddenly the error message E48-32 will appear. It doesn’t appear on all channels but quiet a few. If I reboot, then it starts working again but a few hours later, I get the error message again. My dish has no obstructions in front of it and I cant think it could be weather related because if I reboot, it starts working again. I haven’t been able to check the cables but I feel there cant be anything wrong there since rebooting seems to do the trick but I cant keep rebooting every time. When you do have a intermittent problem with a DStv installation, it is not only very frustrating but also difficult to fix. I do agree that if you do have a problem with your DStv installation, it would most probably not improve by resetting your DStv decoder. The best resolve will be to have your DStv decoder tested. You will be able to have it tested free of charge at our offices in Queenswood Pretoria or at any DStv agency. We also have a onsite service if you prefer having the entire system checked. How much will it cost to rectify the Error 33-48? We reside in Centurion. It is difficult to give you an exact quote before we know the cause of your problem. Kindly provide me with your contact details or give us a call at 0123337772 for an estimate. Unfortunately we are not able to assist you with any account enquiries. You will need to contact Multichoice direct 0112892222. 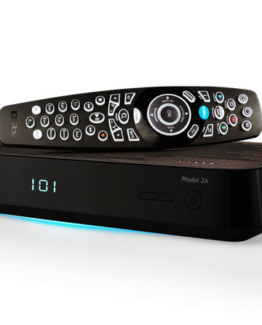 What I do know is that if your DStv Zappa decoder is currently running on the DStv platform only for South Africa you will need to contact DStv for assistance. For other countries you will need to migrate to the Multichoice Africa platform. It sounds like the decoder has a problem on the power supply. The best will be to get the guy back back that replaced your LNB to have a look for you. He sHould have a guarantee on his workmanship. We would love to come assist you. Our service area includes Pretoria and Centurion. Hi I have E48-32 on my DSTV,i checked the connection and it is fine and the weather is also fine,what could be the cause of the signal? hi. im experiencing the error E48-32 on certain channels, this happened after new channels were added. all of my channels were playing fine until new channels were added. i checked the cable all is well. it’s been less than 3months since i installed dstv. i called call center of which they couldnt assist me with the problem. the weather is fine and there arent any trees. If you did make use of a Multichoice accredited installer to do your DStv installation, you should have a warranty on the workmanship. I recommend that you contact the installer that did your DStv installation originally if it is still within the warranty. Alternatively you can take the decoder to your nearest Multichoice branch or agency to have it tested. We will love to assist you onsite if you would like to make use of or services. Our services area includes the Pretoria and Centurion area. 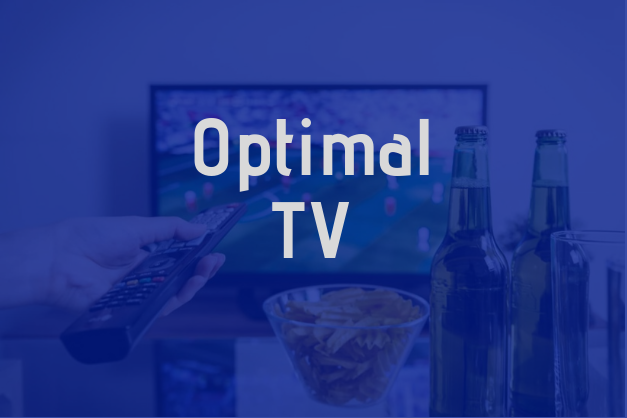 Kindly give us a call 0123337772 to setup an appointment or alternatively you can complete this contact form https://optimaltv.co.za/contact-us/ and we will contact you. we have a triple decoder set up, only the single HD decorder has a E48-32 error out of the blue. Been working for more than a year, now get this error, both the explora’s work. I suggest you restart by rebooting the decoder. If you checked the cabling and this does not solve your problem I suggest that you call the original installer for assistance. My dstv HD decoder suddenly shows that E48-32 error message on all channels including channel 100. I have tried to switch it off and on for several times but to no avail. I have also removed the smart card and insert it but nothing changed. The weather is good and there is nothing obstracting the satelite dish. 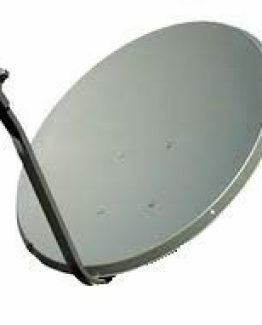 I am also 100 percent confident that the satelite dish is well aligned because i have connected two similar decoders from my neighbors and there was no problem all channel were working good. What could be the problem could it be with my decorder or i am missing something else please help. You can also have your decoder tested at the nearest DStv branch or agency. Optimal TV is DStv accredited and we have more than years experience in the DStv installation field. We service the Pretoria and Centurion area.